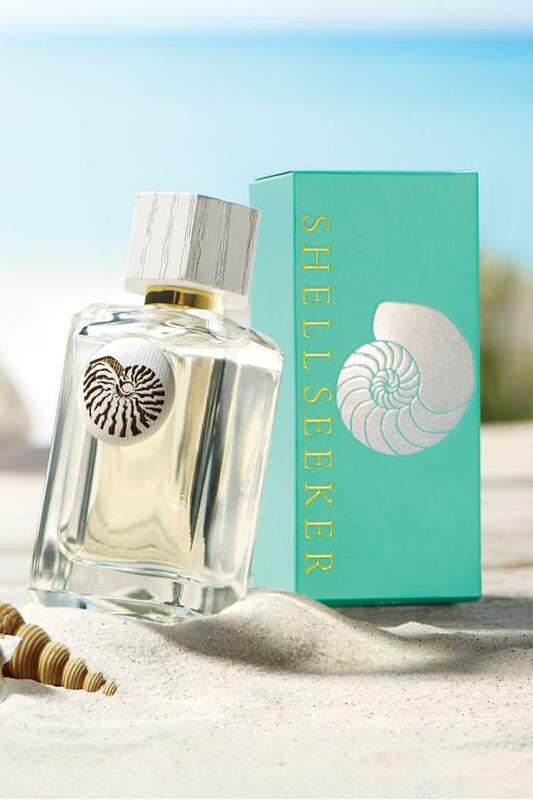 Shellseeker uncaps that wonderful "all's-right-with-the-world" feeling you have when you're walking a salty seaside beach. Subtle and feminine, it begins with top notes of fresh bergamot and zesty grapefruit. Next it artfully blends the fragrance of white jasmine, red mandarin and water lily mingled with rich amber and elegant white musk. It finishes with touches of ylang-ylang, blonde sandalwood and a hint of orange blossom for a truly remarkable scent. 3.4 fl. oz. The earliest memories of my mother are of times on our favorite beach. Together we spent endless days, in all sorts of weather, walking, talking and collecting shells. In many unexpected ways, those precious hours set the foundation for my life. I learned what matters most: the love of family and the importance of time spent together. I also experienced the joy of anticipating a discovery and the absolute thrill of the find. These are still daily pleasures for me - personally and professionally. Due to legal requirements, we cannot ship this to Alaska or Hawaii. Spray on pulse points or where desired. For external use only. SD Alcohol 40-B, Fragrance, Water.